When you consider all that our teeth do for us, it seems like a twice-a-year dental exam wouldn’t be that much to ask in return. 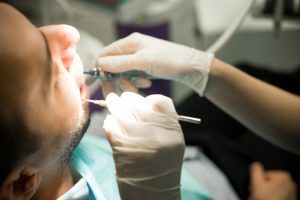 Unfortunately, many adults suffer from anxiety at the mere thought of the dentist, and that means those twice-annual check ups are forgotten until a real problem pops up — you know, one of those pains you can’t ignore. This is a bad cycle, and it needs to be broken. That’s why Dr. Hsu is so proud to provide her patients comforting options with sedation dentistry in Las Colinas, TX: a safe way to relax your way to healthier teeth. © Copyright 2015, DFW Periodontics & Implantology | Site designed and maintained by TNT Dental.